Today is my 29th Birthday and I'm so happy and content with where I am in life. Which took longer than I would have expected but I am grateful for the journey. I've started making steps in the right direction months ago and I am starting to see some of my hard work pay off. It's really inspiring me to continue in the way that I started. I'm not where I want to be but I'm on my way and that's okay with me. Below is my bucket list of 29 things I want to do before my 30th Birthday in no particular order except for the first one. It's huge for me. These are some things that have been on my heart for awhile so now I'm sharing with you so that I have some accountability over the next 12 months. First and Foremost I want to move from being a full-time employee to becoming a full-time entrepreneur. Decorate and organize my apartment per the vision I see in my head. Go on at least 1 mission trip to anywhere in the world. Take a vacation with my family. Start studying and practicing my Spanish again. It's been a hot minute. Build a headboard for our bed. Go Horseback riding at least one a quarter. Start using a planner to keep myself organized. Decrease my living expenses by more than 25%. Grow my savings to at least $5k. Spend time researching my genealogy on both my Mom and Dad's sides of the family. Host my own tea party in my home. Encourage at least 10 women to pursue their passion. Book at least 2 paid acting jobs. Book at least 1 paid modeling job. Finish the outline for my YA novel. Develop the prototypes for at least 2 of my inventions. Share my poetry with the world. Buy a bike and ride it. Volunteer at my local hospital. Mentor at least 1 young woman not related to me. Invest in the young people in my family. That's it. 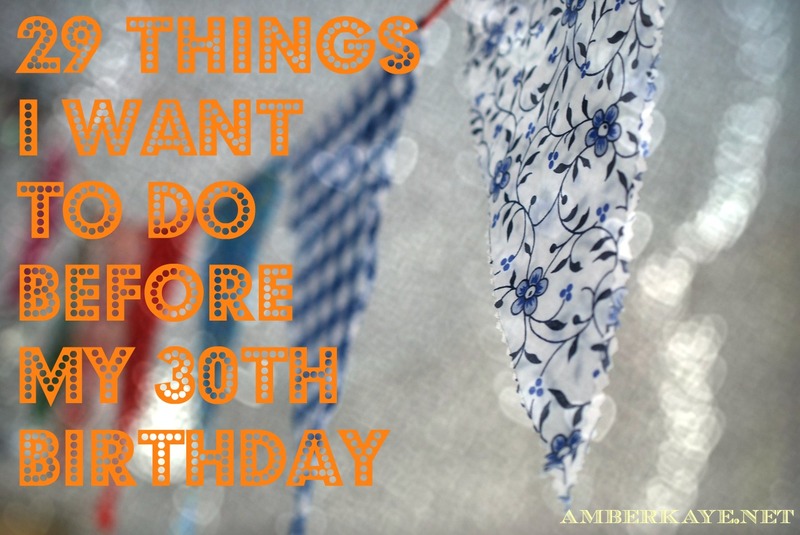 Those are 29 things I want to do before my 30th Birthday. These are things that have crossed my mind some way or another and I want to try to make them happen. I may not hit everything on this list or I just might surprise myself. Ultimately I know that working to achieve these things will definitely help to grow me beyond my comfort zone. Thanks so much for stopping by I appreciate you so much. I'd love to hear if any of the items on my bucket list are on yours. Please leave me a comment down below I want to hear from you and as always thanks for reading.